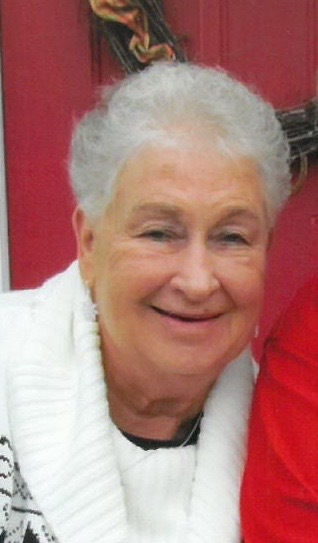 Evans Funeral Home announces the death of Mrs. Dorothy Nell Harris Fields, age 79 of Jefferson, Georgia who entered into rest Thursday at her residence. Mrs. Fields was born in Atlanta, Georgia the daughter of the late Marcus and Annie Lou Allison Harris. Mrs. Fields was retired from the Jackson County Tax Assessors Office and was a member of Bethany United Methodist Church. Survivors include her husband, Robert L. “Bobby” Fields of Jefferson. Son, Ronnie Elrod of Jefferson, daughter; Sherri Ballew and her husband Randy of Watkinsville, daughter; Lori Andrews and her husband Rob of Gainesville, son, Robbie Fields and his wife Deneen of Jefferson, daughter; Kristi Strickland and her husband Carey of Jefferson. Brother; Fred Harris and his wife Faye of Marietta. Eight grandchildren, Kayla and Kelsie Ballew, Alyssa and Ashleigh Andrews, Jake and Reuben Fields, Peyton and Aaron Strickland. Memorial services will be held 2:00 P.M. Saturday, January 19, 2019 from the Bethany United Methodist Church with Pastor Carey Strickland officiating. The family will receive friends 5:00 – 8:00 P.M. Friday, January 18, 2019 at the funeral home. In lieu of flowers, memorials may be made in memory of Mrs. Dot Fields to Stonepath Church, P.O. Box 377, Maysville, Georgia 30558.